Would you describe yourself as a bright, energetic, trustworthy individual, with a warm, welcoming personality and a love of yoga and/or Pilates? If so, contact us about working at our Front Desk. Some fitness/wellness or retail sales experience is required, as well as familiarity working with computers and great attention to detail. 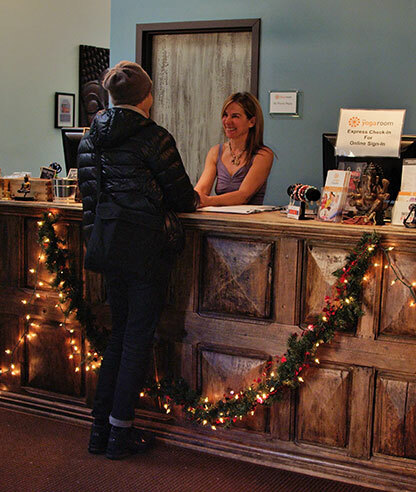 Qualified candidates should contact jennifer@the-yoga-room.com with a resume and cover letter describing why you’d be the perfect person to represent The Yoga Room at our Front Desk.